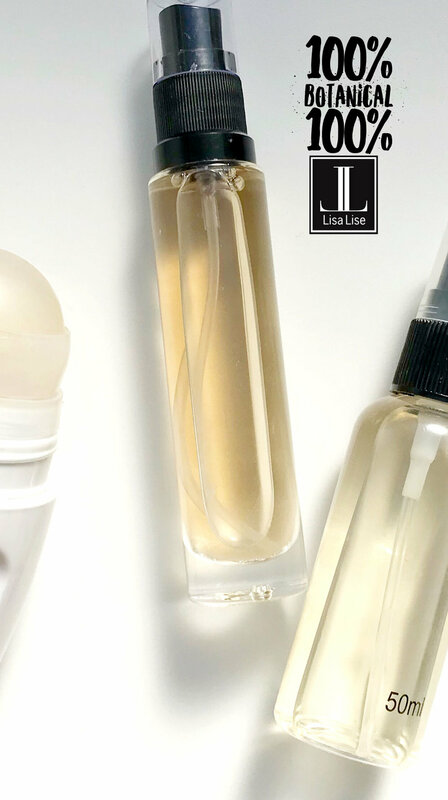 A look inside the LisaLise lab with product how-to's, tips, sneak peeks, and more. The formula for this and 2 additional botanical deodorants are in my book Make Your Own Preservative Free Cosmetics With 21 Ingredients (yes, I know it’s a long title but it was hard to explain the entire contents with fewer words). Even though they are all preservative free, these deodorants have a shelf life of about 6 months. Pictured is the peppermint version. One of the ingredients in this peppermint deodorant is a handcrafted tincture with peppermint. Although you can use both dried and fresh plants to make the infusion, a clear liquid with a proper punch of peppermint is best achieved by using fresh peppermint leaves. My own test team were happy with how long they worked (between 8 and 16 hours), and since the book was published, I’ve been getting feedback from folks who have started making and using these deodorants. I’m happy to say the feedback has been mostly positive. Of course I would have loved to tell you these deodorants work for every single person on the planet, but then, I don’t think any company can pride themselves in having a deodorant that fits that bill. Meantime, I appreciate all of the feedback you have given me, and please feel free to keep it coming. If you want to try making these deodorants, the formulas are available in this book. This is a shot of product development that took place much of last year while working on the book of Preservative Free Cosmetics. Creating a 100% botanical deodorant that both worked all day and had a long shelf life and no preservatives was a pretty tall order, but one of the most interesting challenges I have ever set myself. I’m happy to say i succeeded. There are 3 formulas for this deodorant for purists in the book. Click the picture below to read more. This is a shampoo bar I developed for the book Make your Own Naturally Balanced Shampoo Bars. It’s chock full of botanicals and plant-based saponins which is why it has a longer drying time than any other shampoo bar I’ve developed. It is free of added scent and made especially for super sensitive scalps. I’ve become quite a fan of this formula and have already gifted several equally skin and scalp sensitive family members their own. There are so many people who have asked me and my colleague Rebecca Wright about natural preservatives : which are the best, most recommended or most suitable to use? We wish we could give you a one-size-fits-all answer, but choosing the right preservative is always formula specific. Rebecca and I both recommend studying manufacturer information before deciding which preservative to choose. To this end, we have complied a free E-book of manufacturer information and pertinent articles about natural preservation. Click the button to download your free copy. This year has been full of projects - one of which you see pictured above. It has been a blast working on developing all the shampoo bar for the latest book with my colleague Rebecca Wright. 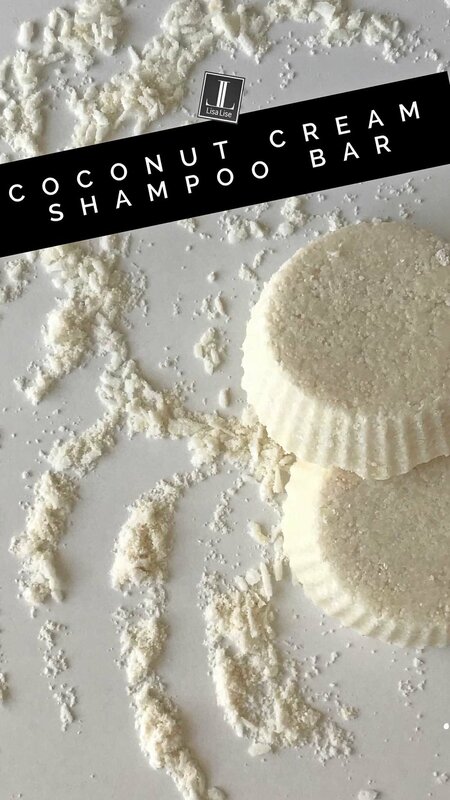 And I find it only fitting to share a bit of snowiness with you in this wintery month, so here’s the whitest, coco-nuttiest shampoo bar from the book: Coconut Cream Shampoo Bars. These were developed with a nod to steady customer of mine who is in love with anything coconut. I’ve already wrapped up a couple and tied a pretty red bow on the package. Pictured: an exercise in botanical synergy that is designed to help stimulate circulation while it cleanses. The formula for this shampoo bar is in the latest publication Make Your Own Naturally Balanced Shampoo Bars. I have had the distinct pleasure of working with Rebecca Wright, a colleague from Formulators Kitchen on this publication, and it has resulted in a series of preservative free, naturally pH balanced shampoo bar formulas with a little something for every taste. We hope you enjoy making and using the shampoo bars in this book.